WASHINGTON — The Supreme Court seemed ready on Wednesday to allow a 40-foot cross honoring soldiers who died in World War I to remain in place on public land in Maryland. 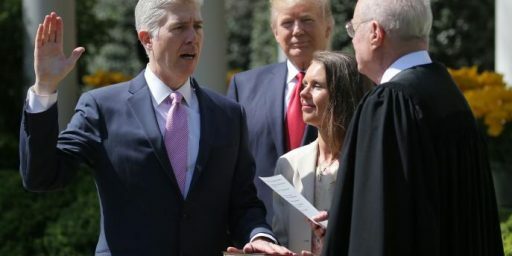 But the unusually vigorous and at times heated argument over the issue revealed deep divisions among the justices on the more general question of what role religion may play in public life. A majority of the justices appeared inclined to rule that the particular cross at issue in the case, which is part of a memorial to 49 fallen soldiers from Prince George’s County, did not run afoul of the First Amendment’s ban on government establishment of religion by sending a message of favoritism to Christianity. Justice Elena Kagan noted that the memorial was 93 years old and was erected at a time when crosses were a common way to honor the fallen in the Great War. She added that other war memorials stood nearby and that the challenged memorial did not feature religious language. “So why in a case like that can we not say essentially the religious content has been stripped of this monument?” she asked. Justice Stephen G. Breyer also stressed the memorial’s age. “History counts,” he said. But he suggested that the erection of a similar memorial today would not be acceptable. 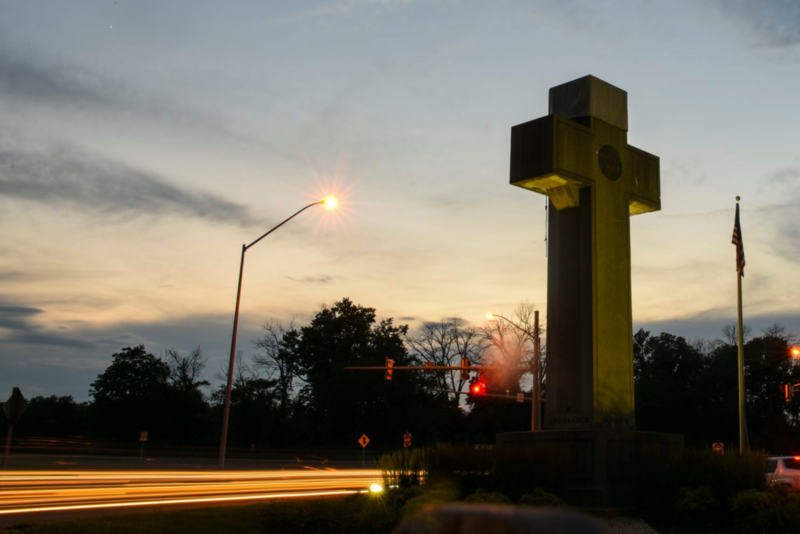 The eventual decision is likely to feature competing rationales for upholding the cross, which sits on a highway median at a busy intersection in Bladensburg, in the suburbs of Washington. Justice Gorsuch suggested that courts should not be called upon to resolve disputes over religious symbols. He pointed to a frieze in the courtroom. “We have a Ten Commandments display just above you, which may be too loud for many,” he said to Monica L. Miller, a lawyer for the American Humanist Society, which is challenging the Bladensburg memorial. Justice Samuel A. Alito Jr. said the court’s intervention could lead to divisiveness. “This sort of thing is being handled today in a pluralistic society in which ordinary people get along pretty well and are not at each other’s throats about religious divisions,” he said. At today’s oral argument, lawyer Neal Katyal – who represented the state – emphasized that the cross has stood in its current location for nearly all its history without any challenge. And both Katyal and Jeffrey Wall, the deputy U.S. solicitor general, who argued as a “friend of the court” on behalf of the state and the American Legion, stressed two other themes. First, as in the Supreme Court’s decision in Town of Greece v. Galloway, which upheld a New York town’s practice of beginning its town council meetings with a prayer offered by members of the clergy, there is a long tradition of displaying crosses. Second, in this particular context the cross has a unique and secular meaning, because it is closely associated with World War I and, more broadly, with “sacrifice and death,” as Wall put it. Sotomayor echoed this idea, observing that for very religious Christians, suggesting that the cross is secular is itself blasphemy. Ginsburg drew on her own travels to posit that the cross was not a universal symbol for all soldiers who were killed during World War I. On some of the World War I battlefields she has visited, she told Katyal, Stars of David – rather than crosses – mark the graves of Jewish soldiers. Carvin’s proposed standard met with skepticism not only from the court’s more liberal justices but also, significantly, from some of its more conservative members. Justice Neil Gorsuch was one of those skeptics. If we “abandon Lemon’s endorsement test because it’s become a dog’s breakfast,” Gorsuch queried, what’s the difference between proselytizing and endorsement? Chief Justice John Roberts was also skeptical, although for a slightly different reason. He noted that what Carvin had initially advertised as a “pretty concise test” “degenerates pretty quickly into” “kind of a fact-specific test” – which, Roberts seemed to suggest, the court would want to avoid. Monica Miller argued on behalf of the American Humanist Association and the local residents challenging the cross. 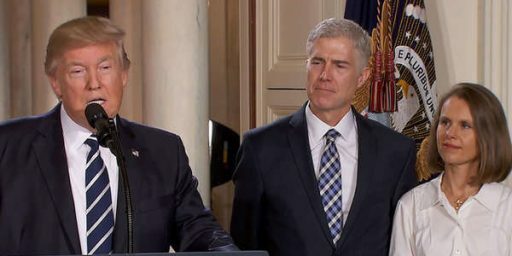 After Miller responded to a hypothetical from Justice Samuel Alito about whether a town could put up a Star of David as a memorial to the victims of a shooting at a synagogue by answering that a “45-foot Star of David in the middle of a roadway would be a problem,” Gorsuch broached a question about whether Miller’s clients should have a legal right to challenge the cross at all. There aren’t many areas of the law, Gorsuch told Miller, where people can sue over an offense because it is “too loud.” Why, Gorsuch asked, should the Supreme Court have to “dictate taste?” Shouldn’t it instead apply its normal rules and require more than that someone was merely offended by the presence of the cross? Roberts chimed in briefly, asking Miller whether it would be enough to have one letter from one person who was offended by the cross. But the justices then moved on to an issue that would dominate much of Miller’s time at the lectern: If Miller were to prevail, would other religious symbols around the country also have to come down? The justices asked about crosses – including a question from Alito about a cross in Gettysburg dating back to 1888 – but also about other symbols. Roberts noted that a Native American totem pole can have spiritual significance. Would it need to be torn down, he asked Miller, if it were on federal property? Miller tried to assure the justices that her opponents were exaggerating the number of crosses on public land, telling them that it was “more like 10 or maybe 20.” But that response didn’t seem to allay the justices’ concerns. Justice Stephen Breyer, who had been relatively silent, proffered a narrow resolution that would allow the peace cross and other historical monuments to stand, while recognizing that times have changed in the United States, so that future monuments would be inappropriate. In light of the historical context of this case, Breyer asked Miller, what do you think of saying “yes, ok, but no more?” “We’re a different country now, and there are 50 more different religions” than there were when the cross was erected nearly a century ago. As I’ve said repeatedly in the past it’s a mistake to judge the outcome of a case based on the reports of what happened at oral argument. Quite often, Justices will ask a question and take positions designed to test an argument that is likely to come up during the conference where the Justices will have their initial discussion and vote on the case, which took place as scheduled on Friday. In that respect, the questions may be intended to try to steer the conversation toward certain aspects of the case and to downplay others. Additionally, it’s not uncommon for a Judge or Justice to play “devil’s advocate” during oral argument either for their own purposes or to subtlely point out to a fellow Justice where their argument may be wrong or may lead to unintended consequences. Notwithstanding that standard caveat, it does appear from the oral argument that there is a majority on the Court, including several of the Court’s liberals, who appear to be inclined to find a way to rule in this case that would allow the Bladensburg Peace Cross to remain where it is without unduly disturbing the Court’s precedent on the Establishment Clause. The only Justice who seemed skeptical of that idea was Justice Ruth Bader Ginsburg, but even her objections to what the presence of the cross on public property would mean for future cases if the Court were to rule in favor of the American Legion. In some sense, her objections are well-founded, especially when it comes to arguments that basically boil down to the idea that the cross has been there for nearly 80 years and that this is somehow legally relevant. This is not the proper way to deal with a case like this, though. The fact that some practice is long-standing or has not been previously objected to, after all, doesn’t mean that valid Constitutional objections should be swept aside. If something is unconstitutional, then it’s unconstitutional regardless of how long people have tolerated it. This case seems to me to be similar to other citations to or acknowledgment of religion in official government actions, most of which have been upheld in the past. The best examples of this can be found in those cases dealing with the issue of prayers opening legislative sessions. This issue first came up a 1983 Supreme Court case called Marsh v. Chambers in which a member of Nebraska’s unicameral state legislature challenged the constitutionality of both the practice of opening each day’s session with a prayer and the fact that the state was paying for the chaplain with taxpayer dollars. The District Court Judge that first heard the case held that an opening prayer did not violate the Constitution, but that state support for the position and the office of chaplain did. On appeal, the Eighth Circuit Court of Appeals ruled that both practices were unconstitutional due to the fact that they violated the Establishment Clause of the First Amendment. In its opinion, the Supreme Court overruled the Eighth Circuit in a 6-3 ruling that relied mostly on the history I make note of above and did not address the constitutional arguments raised by the challengers. Instead, the Court essentially said that, like the practice of putting “In God We Trust” on currency, the practice of having a chaplain deliver prayers at the start of a legislative session, and making that a position paid for out of taxpayer funds, was at best a de minimis violation of the Establishment Clause. This case also bears similarities to another recent case, Town of Greece v. Galloway where the Supreme Court dealt with the practice by the town of Greece, New York to open each meeting of its Council with a prayer, a practice that was challenged by a town resident assisted by civil liberties organizations. In a 5-4 ruling, the Court sided with the town and largely follow the precedent set in Marsh. In any case, as it stands it appears that the Justices are inclined to find a way to allow the cross to stay. Whether and how they come to that conclusion remains to be seen, and we probably won’t know the result until the Court hands down its ruling in this case, which likely won’t be until the end of the term in June. In the meantime, you can catch up with the pleadings in this case via the SCOTUSBlog Information Page for the case. What’s missing from most of the accounts is that the memorial was built using private funding on privately owned property. The state acquired the memorial to pay for its maintenance. That’s the point at which the problem occurred. Perhaps the better solution could be to establish that the State had to sell the cross (and the land) to a private entity? That would be nice, except that the memorial is currently in a highway median. It’s kind of hard to imagine how that could be divested. I still like my previous suggestion: the state should put up an informational plaque describing when and why the monument was built, and how it came to be on public property. That defuses any sense that the state deliberately placed a ginormous cross on public property as a statement of religious preference. @DrDaveT: “ginormous” is correct. I am not sure of what style it is, but is more of a monolith than a cross. Not very attractive. The constitutional issues being debated are important. However, the case chosen is, to most people, trivial. And people cannot differentiate the two. They just see an old monument and wonder what is the big deal. This just serves to piss people and trivializes the constitutional issues. As I noted a few days ago, I’m irreligious, tending towards anti-religious in reaction to how badly the fundies are screwing up politics. That said, I kind of wish people wouldn’t bring up this stuff. I don’t see that it accomplishes much except to trigger the religious snowflakes. However, the American Humanist Association sees it differently and I don’t know how we deny them their rights, so I don’t see how Gorsuch gets out of doing his job. It’s easy to propose a simple rule that would save Gorsuch having to rule, no religious symbology on public property (which would include his Ten Commandments*), but I get the impression Gorsuch has more in mind everybody should accept the status quo, shut up, and leave us Christians alone. Some sort of grandfathering would seem the obvious answer. Yeah, it’s awkward to say it’s unconstitutional now, but because it’s old. OK. But the Founders would not have countenanced women voting, now we wouldn’t countenance women not voting. Stuff changes. * Are the Court’s Ten Commandments the usual King James version, or some Catholic, Orthodox, Jewish, or Reformed version? Perhaps it wouldbe best to just take them down. And most of those people would be more likely to embrace Dostoyevski’s Grand Inquisitor than the Jesus who they claim to follow. For me, I’m okay whatever they decide. We aren’t a “Christian” nation (nations do not need redemption, they need wise leaders) and I’m okay with not pretending that we are anymore. On the other hand, the WWI monument has great cultural value if people are willing to fight to keep it. No problem here, either. Or with ceasing to request God’s blessing on the court and nation as far as that goes. Yeah, but the government is not “other people”, for any intents or purposes. Ten Commandments posted in the Public Courthouse? How about Article VI Section 2 posted above the pulpit in every Holy House in the country. “Scientific” Creationism taught in the Public Schools? How about Darwin be mandated curriculum in all the Sunday Schools and other religious study groups in the United States. Honestly, this strikes me as too trivial an issue on which to waste a precious granting of cert. They only issue ~80 opinions a year, after all, and trending downwards. This is, as several justices alluded to in oral argument, only tangentially a religious action and, as @Dave Schuler noted above only “governmental” because it was the only way to save a treasured piece of history. It’s an insignificant, local matter. Surely, there was a more worthy case for the Supreme Court? I still like my previous suggestion: the state should put up an informational plaque describing when and why the monument was built, and how it came to be on public property. In order for anybody to read the plaque, it would hopefully not be located with the cross on the highway median. @James Joyner: I agree that it is too trivial. But I understand that the justices themselves decide on what to hear, so apparently, they disagree with you. @James Joyner: Agree. But as nutha (boy I’m glad I noticed what autocorrect did to that) mentioned, cert is up to the Court. This is presented as saving one legacy monument, but I doubt it’s that simple. 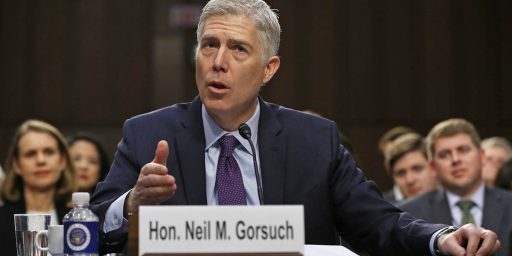 I think the liberals would like to keep it at that, but I suspect Gorsuch et al want to reverse the appeals court and drive a truck through “endorse”. Robert’s desire to not appear blatantly partisan may be all that saves us.